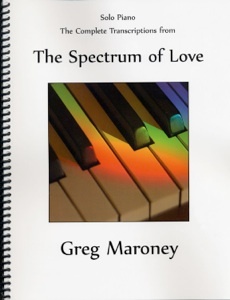 The publication of Greg Maroney’s A Select Collection is definitely a sheet music event! Containing all 57 original pieces that Greg has transcribed through mid-2011, this collection is huge at 446 pages! Spiral-bound, transcribed by the composer, and lovingly proofed by his biggest fan (me! 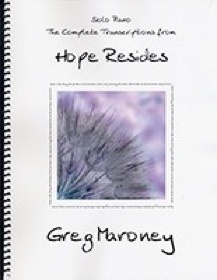 ), this is the definitive collection of Greg’s compositions to date. 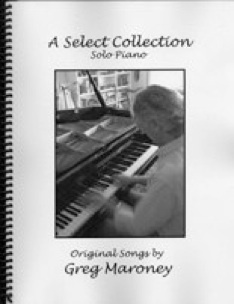 Four of the songs appear in their original keys as well as easier versions for less-advanced pianists. Since it is natural for music to evolve over time, Greg made a few changes to some of the pieces as he transcribed them to reflect how he plays those pieces now, but most are note-for-note transcriptions. The notation is clear and concise, the spacing is roomy, and the music is easy to read. There is something for pianists at intermediate levels on up through advanced, with some of the pieces slow and uncomplicated and others quite complex and dramatic. 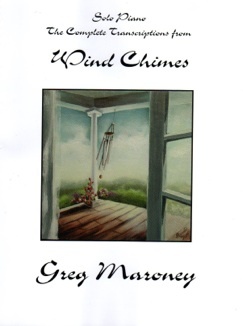 This outstanding collection is available from gregmaroney.com.